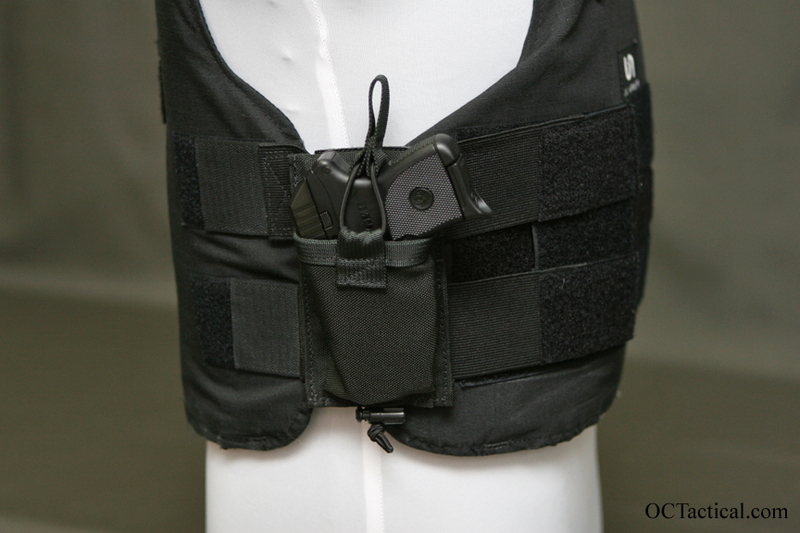 This is a back up holster meant to be worn on concealable body armor. This is more of a LE specific design and has actually been a project for over 2 years. 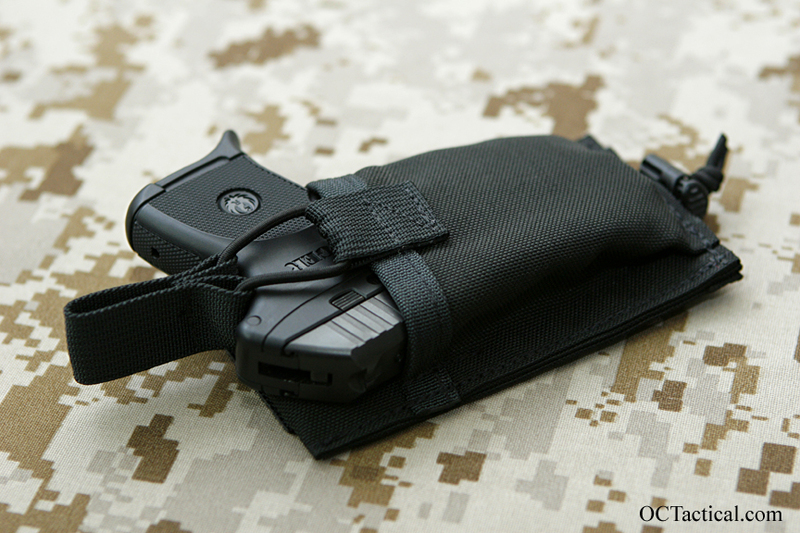 I’ve never been able to find a back up holster that I liked so I figured I’d design my own. This is the third design and seems to be the ticket. 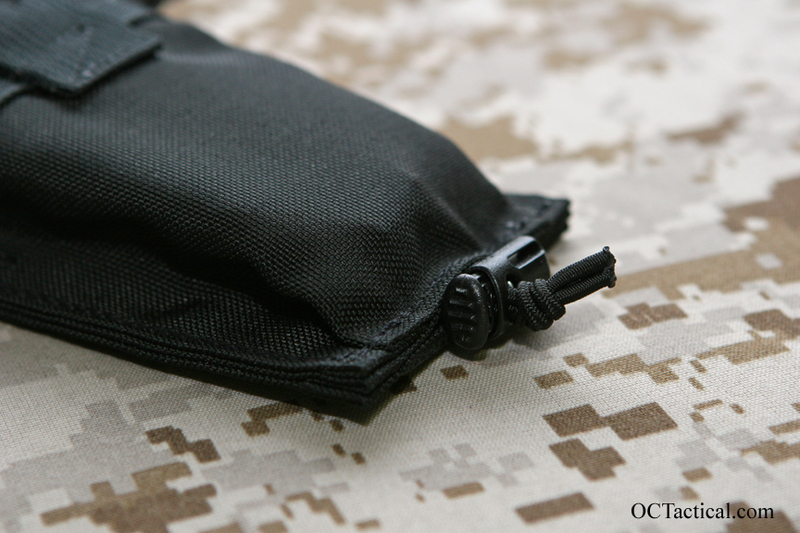 The shock runs through a channel between the 2 layers of fabric and out the bottom. This made it a lot easier to adjust the tension then the traditional style of just tying a knot on the back side. It also prevents the knot from getting pushed into your side. 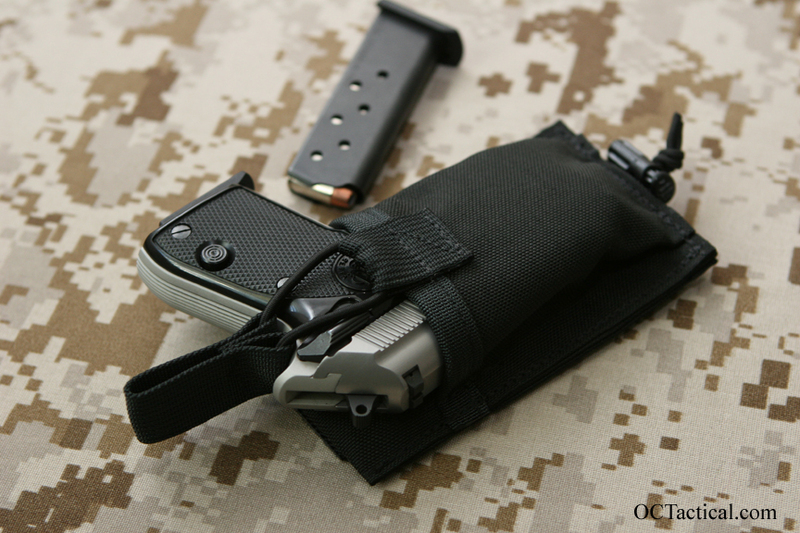 It can be worn on either side and will work with either the LCP/Keltec or the Beretta Tomcat. One major problem I had with other body armor holsters was they used a velcro strip to secure the weapon, which pretty much made it impossible to get the gun out in a hurry so lots of guys just took the velcro strap off and counted on the elastic straps from the vest to secure it in place. The shock cord and pull tab holds it secure and is still easy to use even with gloves on. Another problem I had with other stuff I tried was actually getting the gun back in the holster when you have a uniform shirt on and all your other gear. Using the 17337 to bind the top edge helps keep the mouth open and makes that task a little easier.